In part due to an online hate campaign waged by overweight baby misogynists, 2016’s Ghostbusters remake has performed underwhelmingly at the box office. As a result, a planned sequel has been all-but-canned. Which leaves the path wide open for an even more alternative take on the Ghostbusters ‘universe’. Four gender-irrelevant scientists join forces when recently-deceased reality TV star (is that what he was?) David Gest comes back from the other side to haunt Liza Minelli by smashing up her Royal Doulton dinner service. Packing more Proton than a second hand car garage in Sleaford, our heroes need to draw on every ounce of resolve to defeat the final incarnation of the undead Gest – basically the Stay Puft marshmallow man, but with a goatee. 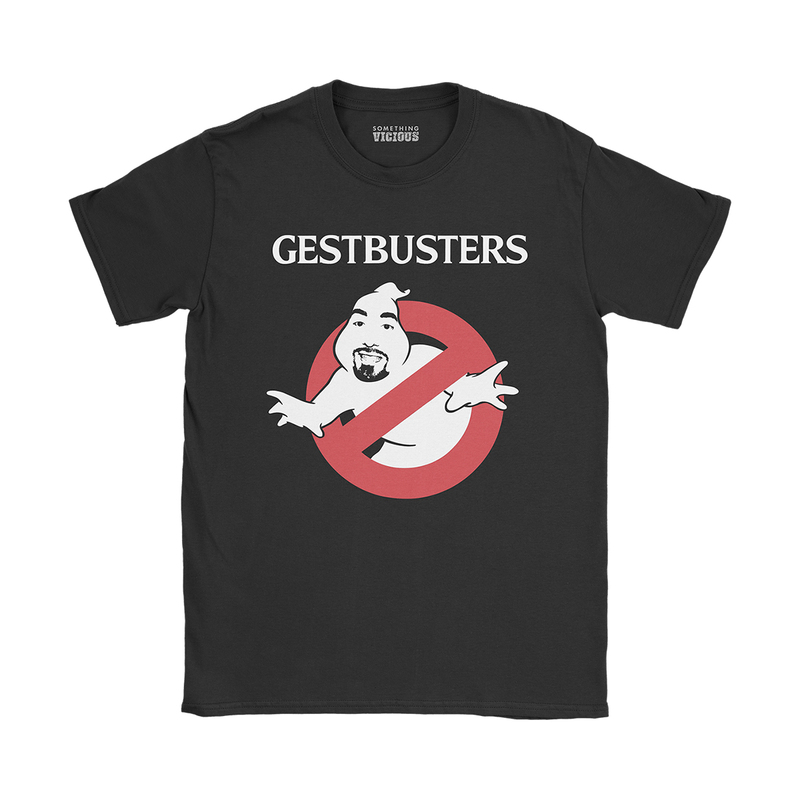 This exclusive T-shirt design, inspired by Reality TV Legend David Gest and screen classic Ghostbusters, is printed direct-to-garment using the highest quality ink onto the very best quality soft organic cotton tees. Designed to fit snugly and comfortably, these high quality garments will keep your body looking hilarious for years to come.